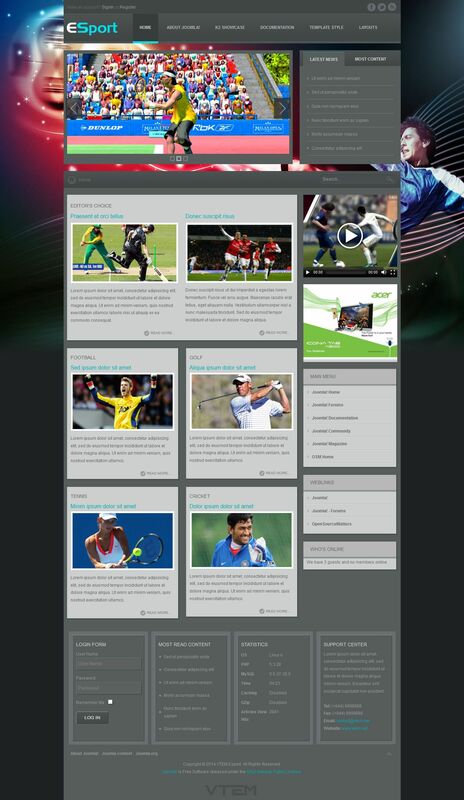 VT Sport - quality template news topics from professional design studio Vtem, having a light and modern design. The template has 4 preset color schemes, more than 40 module positions, full support for mobile devices and content management component K2. Flexible layout positions for modules provide user-friendly placement of materials on the site. This template is perfectly optimized, has a quick loading and support all browsers.